We reveal a secret of zoo exhibit design in this latest video. 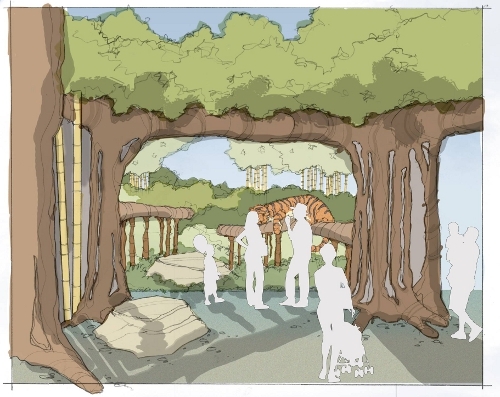 Help us make our design plans for a new exhibit for tigers and sloth bears a reality through our Give Ten for Tigers campaign. We're 25% to our fundraising goal and we're hoping to raise another $75,000 before May 25 in order to raise enough funds to begin on construction for Phase One of this major new exhibit project. We've been asking you to give, but we're also prepared to give back. Anyone who makes a gift is automatically entered into our Give Ten, Win Ten giveaway for a chance to win a prize pack of 10 zoo admission passes and a tiger ZooParent adoption. You can also enter to win here.